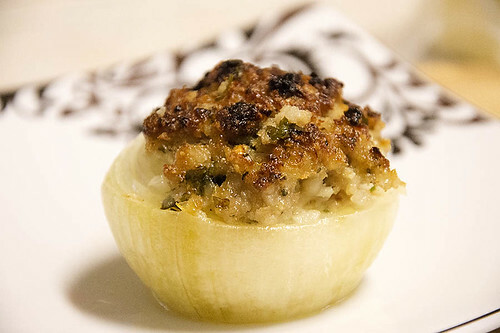 Onions stuffed with a mixture of veal, Parmesan cheese, and bread crumbs. You could also use the filling for stuffing peppers, tomato or zucchini. 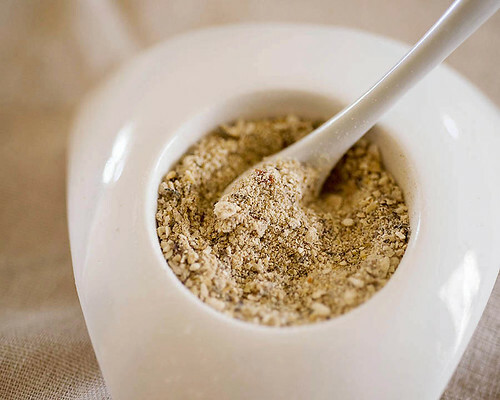 A blast of umami in a bowl. 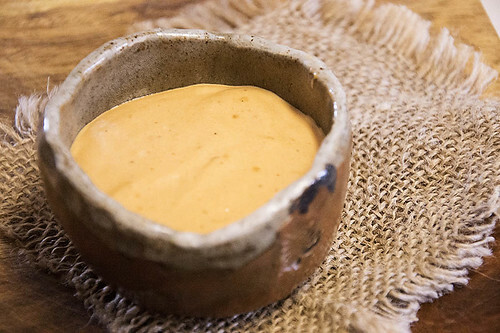 Not only is it a smoky dipping sauce for your shrimp, it's also a great sandwich spread.